As a customer, ordering food from a restaurant or takeaway is the most effective way. Because of heavy load from the customers, intermediary portals are becoming more and more popular. Though they’re great in serving food, it’s not the best way to order food. The best is to order from the takeaway or restaurant’s official site as there’re many benefits of it. There’re lots of reasons behind it. First of all, having the visual experience of the food and user-friendly environment is the key. It’s more enjoyable to order from the takeaway’s own website than that of intermediary portals, like Just Eat or Hungry House. Live chat is an easy and quick way to contact with the original restaurant or takeaways. They’ll response more quickly to any questions and queries of their customers. It’s also great because the customer won’t have to contact the store via phone. Payment is another important factor here. While ordering food via restaurant’s official site, the payment process will go straight through business bank account. The original sites offer free delivery or cost less for delivery. Every customer watch out for promotions and offers for getting better deals. Official websites of the takeaways always come up with their latest offers and discounts. They also have loyalty points scheme, that will help a customer save money for his future order. Even though all these features are available, the restaurants tend to use intermediary portals because they can hardly handle so many requests and deliveries. Here comes FusionPos to help. Online ordering platform is the ultimate solution for growing a business. FusionPos helps restaurants and takeaways through their free online ordering system, helping business being successful. They help manage orders and deliveries for the takeaways in a very simple platform that doesn’t require more on hardware or weekly rentals. The system can be integrated in the website, and customers can order from any sorts of devices. FusionPos also helps growing more profit, as their ordering system management is 0% commission, forever. FusionPos also help takeaways and restaurants create their own branded mobile apps, getting closer to their customers. 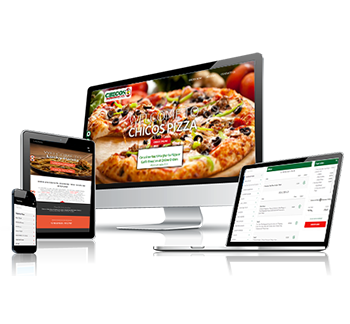 FusionPos also support creating brand promoted website for restaurants. There’s no need to pay any third party for having a website for the business – FusionPos is already there to help creating the site without commission. With all the features and advantages, there’s no way any restaurant or takeaway shouldn’t take the chance to grow their business with FusionPos.